Click the button below to add the Dandruff Vinegar Rinse Cleanser Scalp Relief #Vinegar Rinse Cleanser Dandr# to your wish list. Our Vinegar Rinse Cleanser Scalp Relief removes loose flakes and clears both hair and scalp of dandruff or scales. It leaves your hair and scalp clean, fresh and flake free. 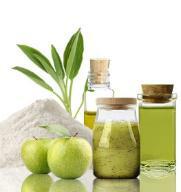 Quickly and nutritively removes dead skin, oil, wax, styling products, and other buildup from your scalp and hair. This cleanser also helps remove debris from follicles, which will promote healthier hair. 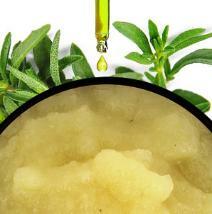 Antibacterial ingredients such as Oregano, Manuka, and Rosemary inhibit fungi and help keep your scalp flake free. Comfrey extract nourishes and makes hair shiny, soft and smooth. Aloe Vera can be used as a dandruff treatment by soothing dry scalps and eliminating flakes. Plus, Apple cider vinegar is full of vitamins and minerals with alpha hydroxy acids that contribute to balancing the pH levels of your scalp, which is for maintaining optimum scalp health. This cleanser will provide you with a flake-free scalp and healthy, beautiful hair. Anti-dandruff ingredients made by nature. Gentle, non-irritating and all nutritive dandruff formula. Free of artificial dyes, fragrances, colors, and parabens. This vinegar rinse formula for dandruff is made fresh in the USA. Oregano, Manuka and Rosemary essential oils are naturally antimicrobial. Guava Leaf and Green Tea Leaf herbal extracts calm and soothe dry, itchy scalps. Nettle Root Extract helps treats dandruff, is anti-inflammatory and is full of vitamins and nutrients. Helps alleviate symptoms of dandruff with wholesome ingredients that soothe and calm. Removes buildup and flakes and clears hair and scalp of dandruff or dermatitis. Dandruff is a skin condition that causes flakes of dead skin from the scalp to appear in the hair and on the scalp. Dandruff is a common condition, which is marked by itching. It is not an infection and cannot spread from one person to another. Severe Dandruff is also known as Seborrheic dermatitis, a condition in which the skin becomes inflamed or flaky. This form of dandruff is thought to be caused by a reaction to the yeast called Malassezia, which is a fungus that thrives on the surface of the scalp. Use every fifteen days or as needed to remove buildup and to maintain your scalp's health. Next, massage from your roots to your hair tips. Leave the rinse on for one to three minutes, then rinse well with warm water. Excellent for keeping in new color and color safe. • This should be the first product to use when you have dry hair problems as it deep cleanses toxins away from follicles and encourages responsive, hydrated hair. • Use this vinegar cleanser before applying your oil treatments. It will allow your treatments to penetrate the scalp better and become more effective. • Use once every two weeks to cleanse the scalp. If used more often, it could dry hair out. Please use a conditioner after using this product. Acetic Acid (Apple Cider Vinegar), Aloe Barbadensis (Aloe Vera Hydrosol), Symphytum Officinale (Comfrey Root) Extract, Lagerstroemia Speciosa (Banaba Leaf) Extract, Urtica Dioica (Nettle Root) Extract, Plantago Lanceolata (Plantain) Extract, Equisetum Arvense (Horsetail) Extract, Psidium Guajava (Guava Leaf) Extract, Persea Americana (Avocado) Oil, Caprylyl/Capryl Glucoside, Allantoin, Leptospermum Scoparium (Tea Tree) Oil, (Manuka) Oil, Mentha Piperita (Peppermint) Oil, Citrus Sinensis (Orange) Peel Oil, Betula Lenta (Birch) Oil, Lavandula Angustifolia (Lavender) Oil, Origanum Vulgare (Oregano) Oil , Rosmarinus Officinalis (Rosemary) Oil, Sodium Lauroyl Lactylate, Cedrus Atlantica (Atlas Cedarwood) Oil, Salvia Sclarea (Clary Sage) Oil, Cymbopogon Flexuosus (Lemongrass) Oil, Echinacea Purpurea (Echinacea Purpurea) Extract, Arctium Lappa (Burdock Root) Extract, Camellia Sinensis (Green Tea Leaf) Extract, Glycerin, Xanthan Gum, Glyceryl Caprylate, Phenethyl Alcohol, Panthenol (Vitamin B). Customer dandruff reviews and testimonials are provided for informational purposes only. Customer dandruff reviews and testimonials reflect the individual dandruff reviewer’s results and experiences only. Dandruff results may vary based on individual user. There's no guarantee of specific results and results can vary. What a wonderful Invention! This is a deadly Dandruff KILLER no more flakes, yet surprisingly has a most overwhelming enticing fragrant in a strange way. It works that is all I care about. I suffer with dandruff but after I use this with the dandruff treatment it leaves for about six months. Then I have to use it again but it gives me relief and thats what counts. I love this product its the only one that actually works and my hair looks great, I've tried everything out there. I've tried everything before. Almost cried the last time I got this really heavy dandruff coming to my forehead, but 2 uses later, the problem was in control! It won't dry my thin frizzy hair. It moisturizes it. Nothing works better! Thanks so much! I didn't know what was wrong with my scalp and it kept getting worse. It was unbearable for a few months until I found this botanical vinegar rinse and the problem cleared up within a week. Now I use it a couple times a week to manage scalp psoriasis. I don't know what I would do without this product. Thanks. Not all flakes on the scalp are caused by the same thing. I've had dermatitis for over 10 years. Those yeast cells were being fed well with my scalp. Ordinary dandruff shampoos did little. Within 1 week and two vinegar rinses, my scalp was free of dander and redness. I tried it all and it took this OTC product to put a halt to the Malasezzia fungus. Try for yourself you will be glad. If the usual dandruff shampoo or treatment suspects haven't helped your symptoms, this vinegar rinse treatment is for you. My first time using it dried up my scalp itch and alleviated all the redness and tender spots. This is perhaps best dandruff treatment ever produced. It completely eliminated my dandruff in less than two weeks. As a result, I can wear a black shirt and go out to clubs under fluorescent lighting and seen nothing on my shoulders. I have no visible dandruff flaking and the itchy scalp condition has nearly gone away completely and my hair looks great. I have been suffering from temporary mass hair loss with a dry, scaly scalp for the past 6 months. I tried the usual dandruff shampoos but they just wasn't cutting it anymore, and after the third time using the botanical vinegar rinse I was amazed to find my scalp normal looking. This vinegar rinse really stands up to its claims. I don't know if it's just me, but it seems like it actually helps decrease my hair shedding. I was skeptical when I ordered this, especially because of the steep price, but did so out of desperation. Nothing had worked before on my dandruff for over 15 years and I've tried everything. And the first time I used the Vinegar Rinse it seemed to do nothing. But I decided to be patient, thinking that perhaps it just took time. Three weeks later, I am amazed at the difference. I had bad dandruff, and I wear a lot of dark, so I spent a lot of time brushing off my shoulders, which was embarrassing. I haven't done that in at least two weeks now and am thrilled! I love how it is not medicinal-smelling like most dandruff products I've tried before, and makes my hair look great too. I would highly recommend it because it works! For YEARS I've suffered from big, thick scales that would show up even a day after I'd wash my hair. They would even ooze and break my scalp open. The logical solution would be to wash my hair every day. But, being of African-American descent, that wasn't an option. I needed something that could control my dandruff for at least a week. I've tried numerous remedies: MANY over-the- counter shampoos, hair creams that contained sulfur and even medicated shampoo. All of them failed to control my dandruff for more than three days. I had finally decided to give up the battle when one day I a friend told my about JustNatural vinegar rinse. I was VERY skeptical, but decided to give it a try. It may cost more, but believe me, it is well worth it! I worship this vinegar rinse product. Nothing else is allowed in my shower, a total exclusion zone for hair products. My scalp doesn’t itch anymore too. I even think my hair is getting thicker. Much more than just a treatment for dandruff. My hair looks great. I am a minimalistic type of person. I only buy what is neccesary for me to use every day. I only buy shampoo,conditioner and gel. I recently got an insanely itchy scalp and flakes were all over my clothing. Found out about this product when searching for remedies. Decide to buy this ACV rinse and I couldn't be happier. I used the rinse the first day it arrived and my flakes and itch disappeared. I have used it continuiously and I also see a difference in my hair. I have only used this product twice and each time I can feel a big difference to my scalp. Smells strong in the shower but that scent does not linger in your hair. I feel a real difference already. The ich is much less, even w/ only using every two weeks. Very glad to have found. First time use. I can feel a difference already. Very glad I found it. I've tried my rinse about 3 times already, even though the directions say to use it once every 2 weeks. My reason for doing so was because I tried a hair mask recipe I found off of YouTube where you use garlic and onion. I'm allergic to both if I ingest it and I didn't realize that putting it in my hair would make my hair smell AWFUL when wet or even sweaty. When I use this rinse it helps clear the scalp itch I have dealt with for several years due to chemicals in shampoos and other hair products that hurt my scalp. I started developing a sand like texture of dandruff that would come and go but no matter what medicinal over the counter product I've used, it came back. Using this rinse it seriously helping to calm the scalp itch. I can't go without washing my hair more than every other day or I get the itching again. I will continue to use this rinse once a week. Although I would suggest that it may leave hair that is fine and thinning like mine to use just a bit of conditioner in it afterwards as I know with my hair it tangles a lot when I use just this. Yet, when I add just a pea sized amount of conditioner to the ends it's a lot better and my hair is very soft and still clean.